Individuality as the new standard! Non-standard pallets – as individual as your products. You want to store and transport your products with minimum space requirements, but the desired freight does not fit the standard size cargo pallets? We are at your service, because special goods require special transport packaging! With custom-made non-standard pallets you can not only significantly save valuable space in storage and transportation, but also trim shipping costs. The demand for custom-built pallets is steadily increasing. We offer custom-made non-standard pallets, that exactly meet your individual needs and desires. The suitable pallet will be manufactured according to your sketch or design. 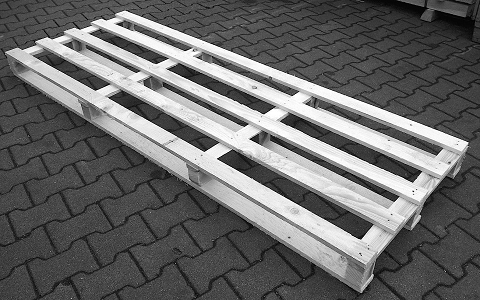 A variety of designs of oversized pallets are possible. Our product range also includes compatible accessories, such as pallet lids and collars. Do you require custom-sized crates? We will gladly provide you with suitable collars setting for your non-standard pallets, which can not only facilitate transportation, but also, in certain cases, storage. Any size up to 3500 mm is possible. 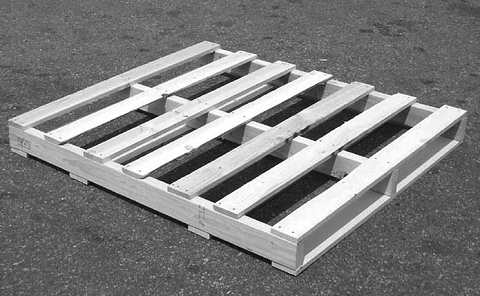 All custom-sized pallets can be equipped with a suitable lid. These are used for securing cargo and/or as basis for stacking to save valuable space in storage and transportation. Just give us a call or use our online online form. Our Team is competent and experienced, so that we will always find a suitable pallet for you.